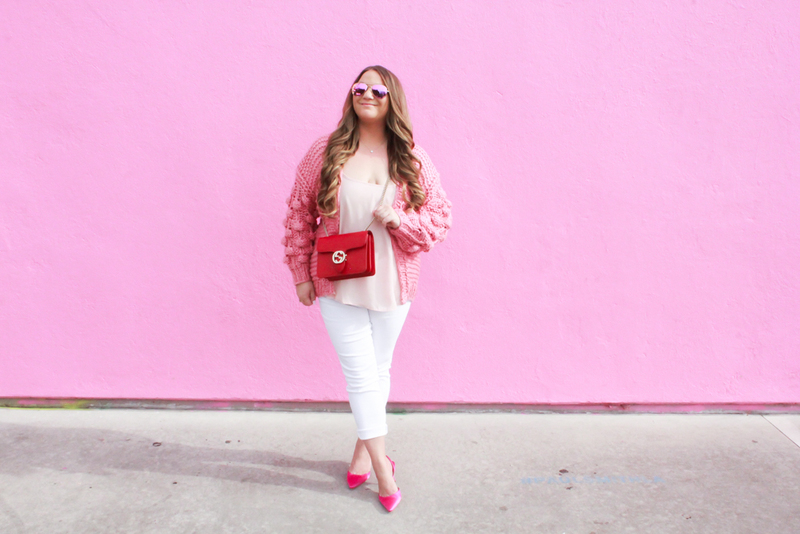 Valentine’s Day is just a few weeks away and while my full Valentine’s Day Style Guide will be up soon, I am sharing a great casual alternative here. 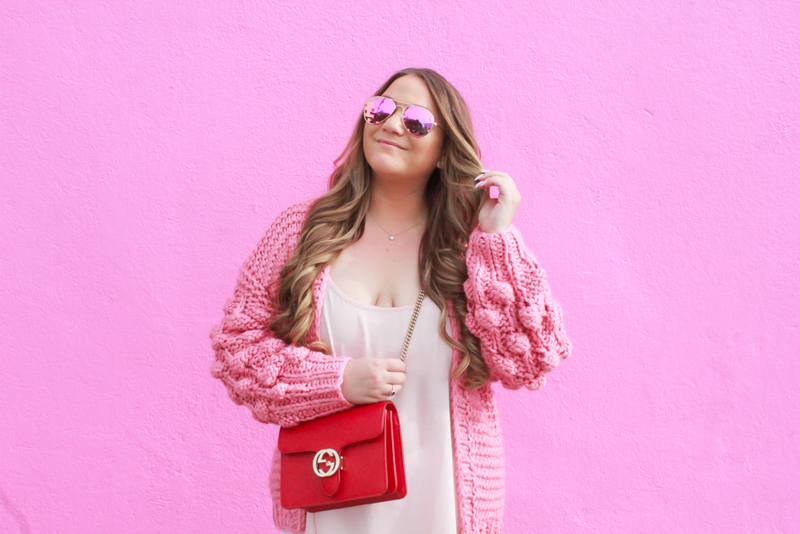 Maybe you are heading to a girl’s night in or a casual Valentine’s Day date or just want to embrace some pink + red to wear to the office, either way – I made the pom pom cardigan trend work for the day of love. 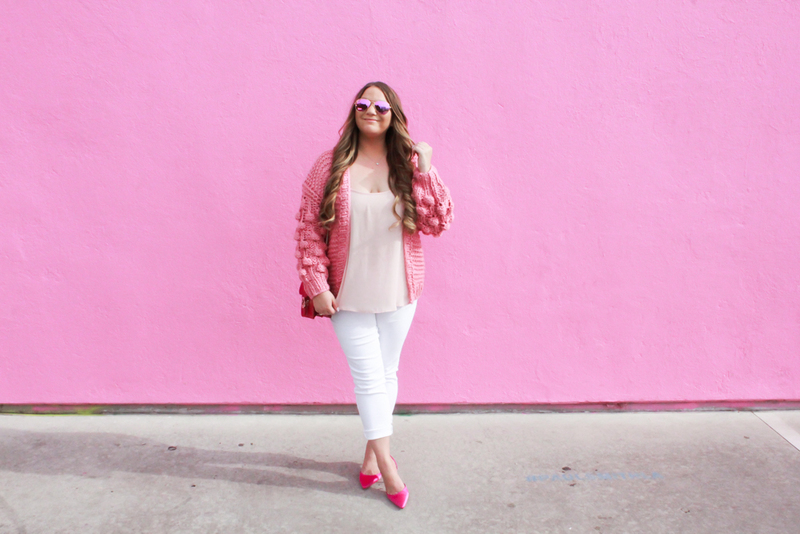 I wanted to let the pom pom cardigan take center stage so I paired it with a light pink chiffon camisole + white skinny jeans. 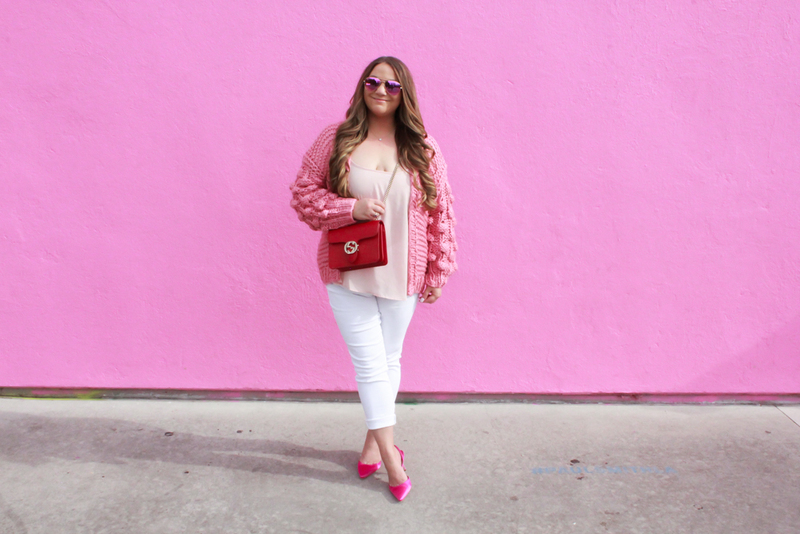 I love wearing white skinny jeans year round + Valentine’s Day is no exception! 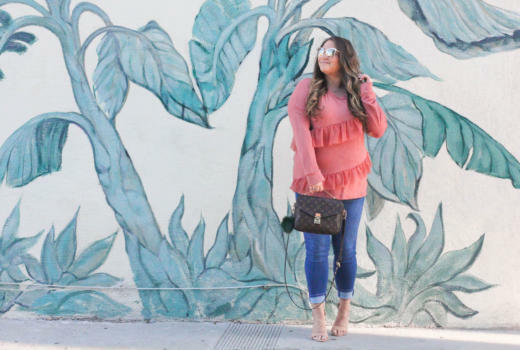 I am also a huge fan of these chiffon camisoles – I layer them under everything + own them in every color. They are a great staple to have + wear year round so I highly encourage every gal to stock up on them! 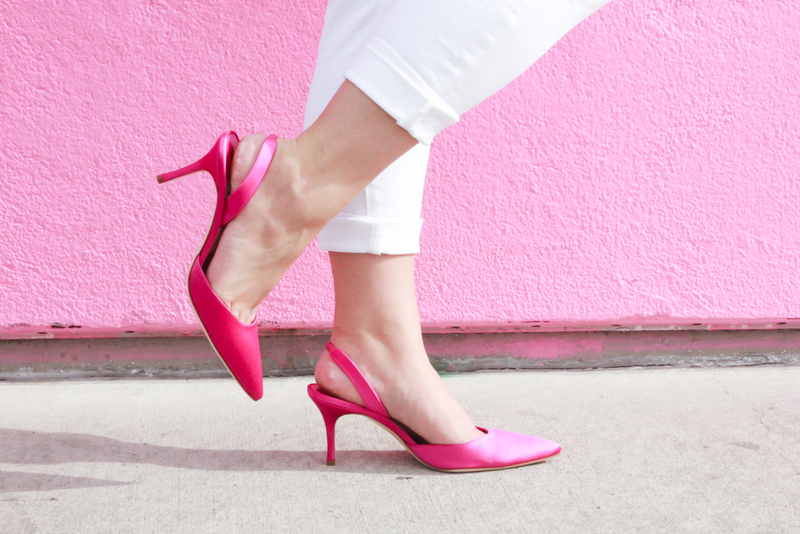 I am obsessed with these pink Manolo Blahnik slingbacks! 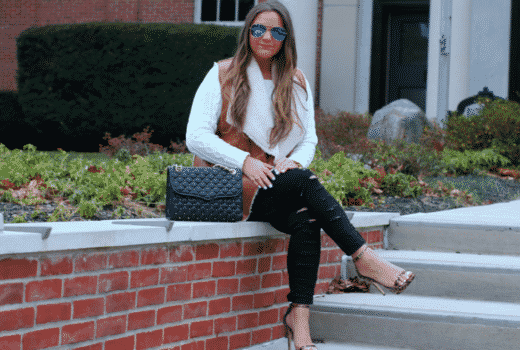 They are my first ever pair of Manolo’s (crazy I know but I tend to splurge on handbags not shoes) + I bought these as a Christmas gift to myself on Cyber Monday for under $300 – crazy right?! 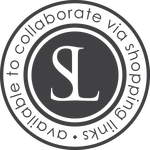 I am slowly beginning to invest in designer shoes but still can’t get myself to pay full price especially when you can buy the styles you love for less from various retailers + outlets. 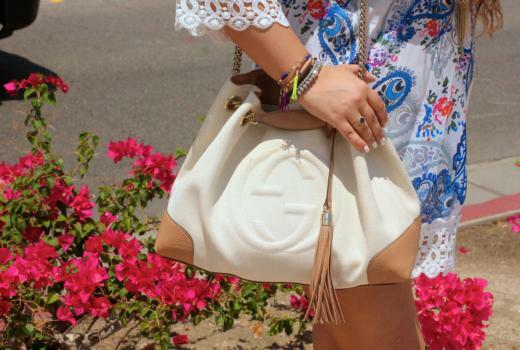 My bag was another Christmas gift to myself and I scored it at my local Gucci outlet in Palm Desert (one of my favorite places to shop since they have all the designers you love for discounted prices + the styles are still pretty current)!